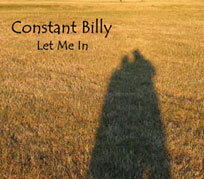 Music from Constant Billy's CD "Let Me In" is available NOW for download at Amazon, and CDs can be purchased online at CDBaby and at Cactus Records in Houston! 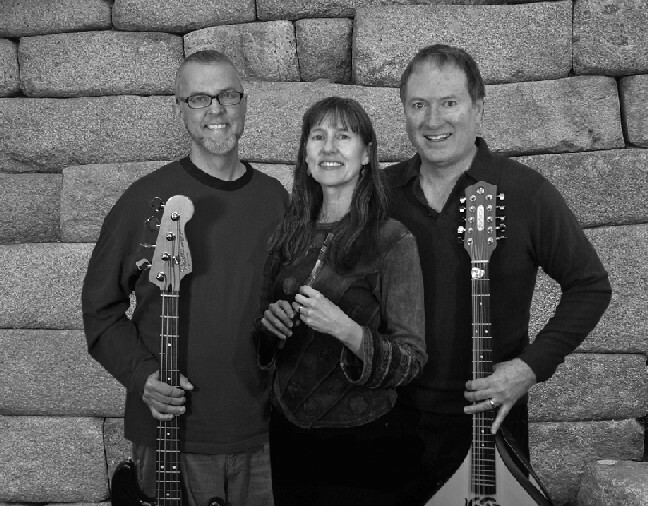 Produced by Constant Billy and engineered by Grammy-Award-Winner Steve Christensen at legendary Sugar Hill Studios! Click here to see the lyrics to all the songs on "Let Me In"
Click on "Hi-Fi" below if you have a fast internet connection or "Low-Fi" if you have a slow (dial-up) connection. These samples are in MP3 format. This lovely old Scottish song is a great testament to persistent devotion. It's also a fine example of the outrageous things a man will say to get inside his lady's bedroom. A true story by the redoubtable Jez Lowe about an outlaw coal miner. The game was fixed from the start. Big hit for the Troggs back in '68. Emily pried it out of Bill's memory. Bill swears that love actually is all around. You could fill a book with songs about the handsome gypsy who runs away with the beautiful lady. This particular version is an unusual hillbilly blues setting Emily put together after hearing a 1950s recording of Arkansas singer Mr. Wise Jones. From common beaus to Bonnie Prince Charlie in the space of 3 minutes: the scandalous Mally Lee is the original social climber. Based on a true story. A tragic story of death in the wrong order. One of the most beloved of Scottish ballads. "Let Me In" is available NOW for download at Amazon, and CDs can be purchased online at CDBaby and at Cactus Records in Houston!